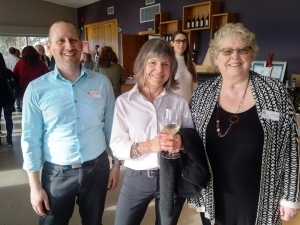 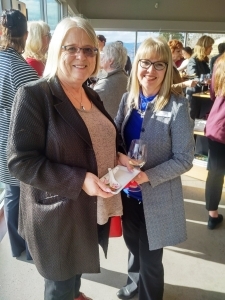 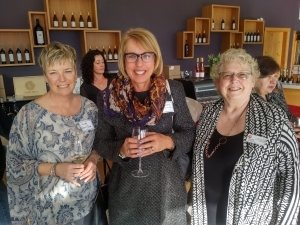 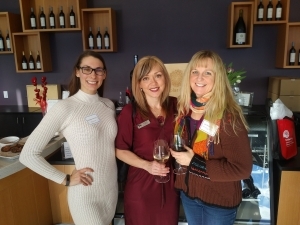 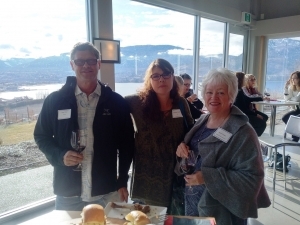 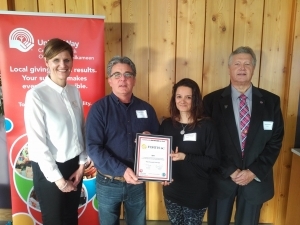 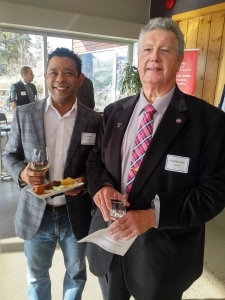 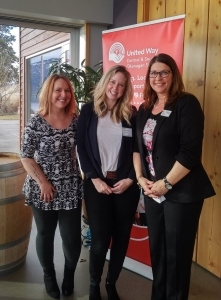 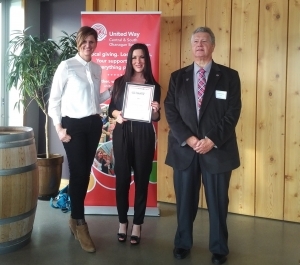 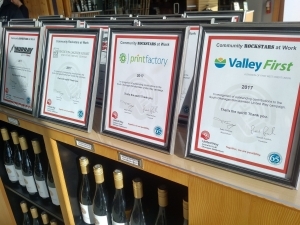 March 15, 2018 – United Way CSO celebrated the South Okanagan 2017 campaign at Poplar Grove Winery this week. 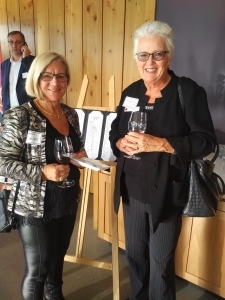 Over 60 Community leaders, corporate sponsors, media partners, workplace campaign staff, volunteers and funded partners were treated to an evening of appreciation thanks to sponsor, TD Bank Group. 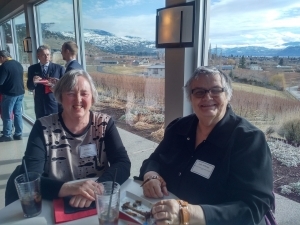 As a result of the annual fundraising efforts and provincial funding, a total of $460,826 was invested in the South Okanagan communities in 2017. 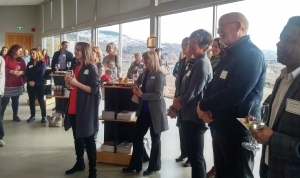 This was allocated to 16 programs and services delivered by community agencies that ultimately support children, youth, families and seniors in South Okanagan communities. 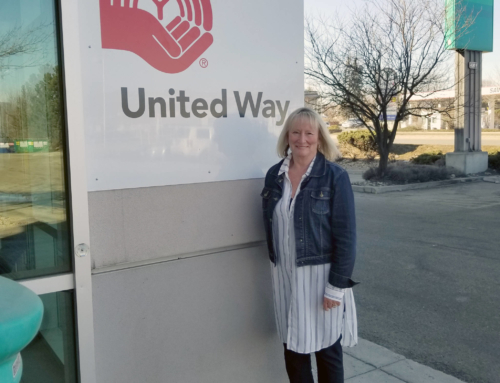 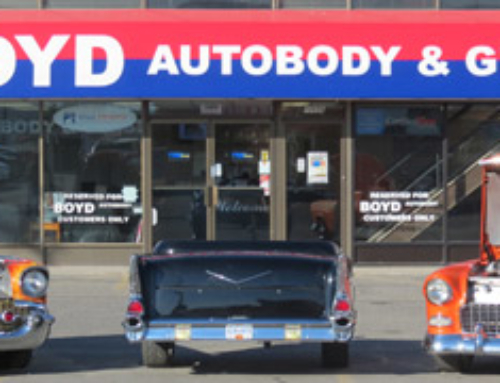 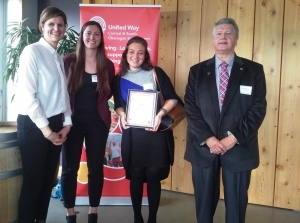 Other impactful services such as the Child Safety Initiative, Emergency Transportation program, 100 Homes Penticton, and other strategic initiatives rounded out United Way’s community support. 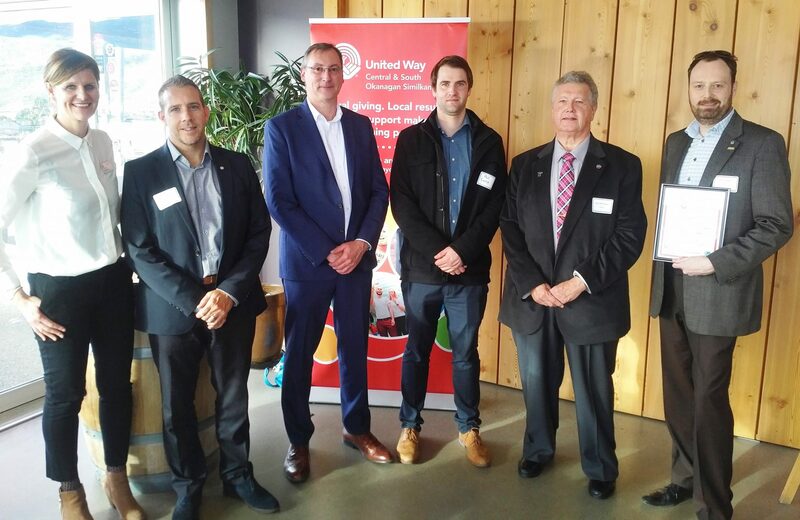 The Better at Home and Success by 6 program make up the balance of the provincial initiatives supporting the region. 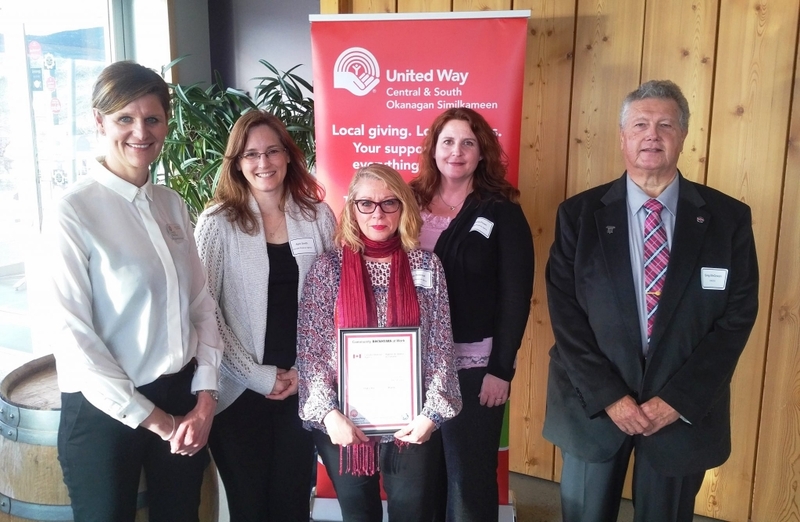 Shown above: Helen Jackman, ED/UWCSO, CRA employess: April Smith, Kim Perreault, Tracee Preen with Greg McGowan, President SOBLC and UWCSO Board member; CRA continues to lead the way in workplace campaign fundraising in the South Okanagan. 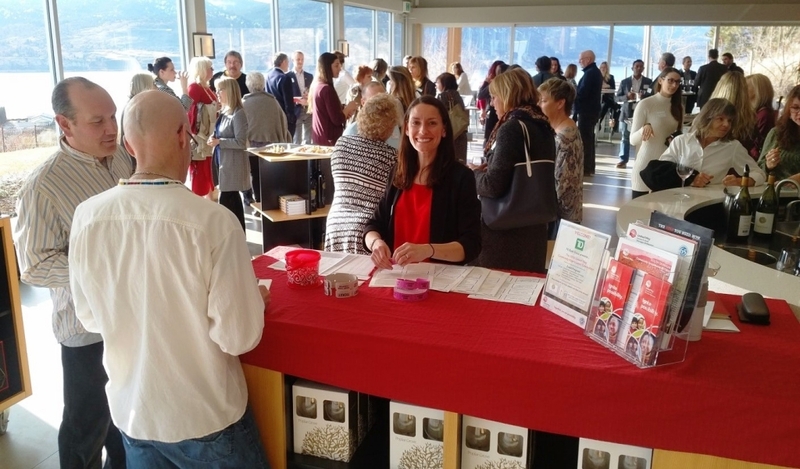 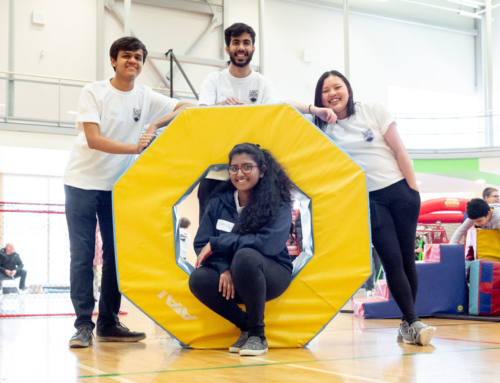 Over 60% of the funds raised are generated by local workplace campaigns with the balance provided by corporate donations and individual donors. 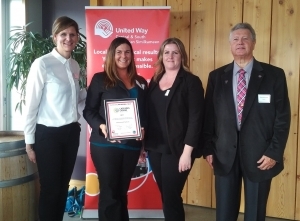 United Way presented appreciation certificates to each workplace, corporate and media partner in attendance. 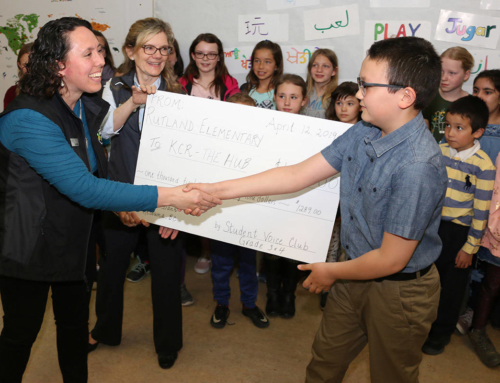 Along with cash donations, corporate and media partners make a very significant impact to the campaign with in-kind donations. 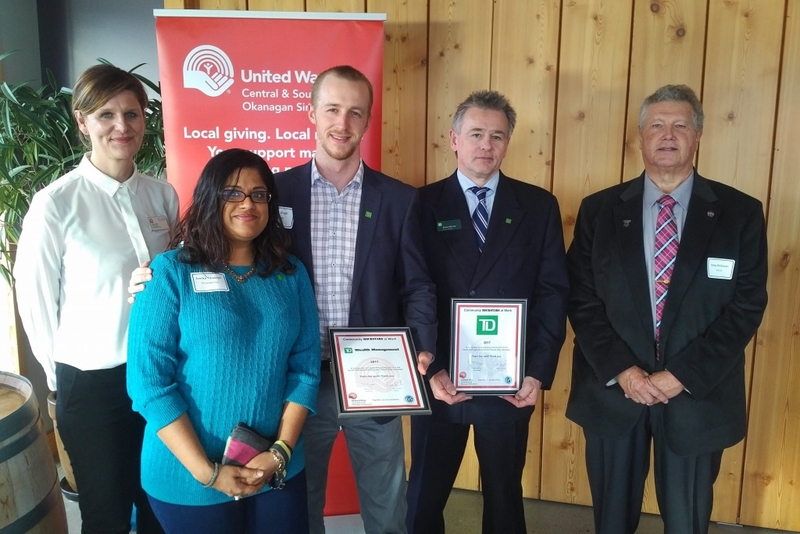 Shown above: Helen Jackman/UWCSO, Amrika Tikasingh, Colin Wright and Bruce Murray with TD Bank Group, Greg McGowan. 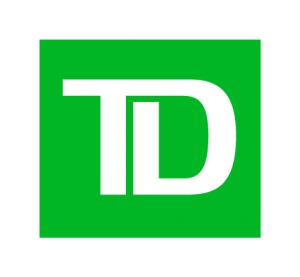 TD supports United Way by sponsoring this annual event, running a workplace campaign and providing office space in the downtown branch. 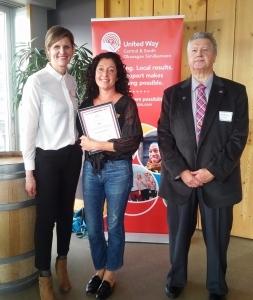 United Way would like to extend sincere appreciation to Poplar Grove Winery for providing the beautiful venue and wine for this event as well as Vanilla Pod Restaurant for the fantastic food.